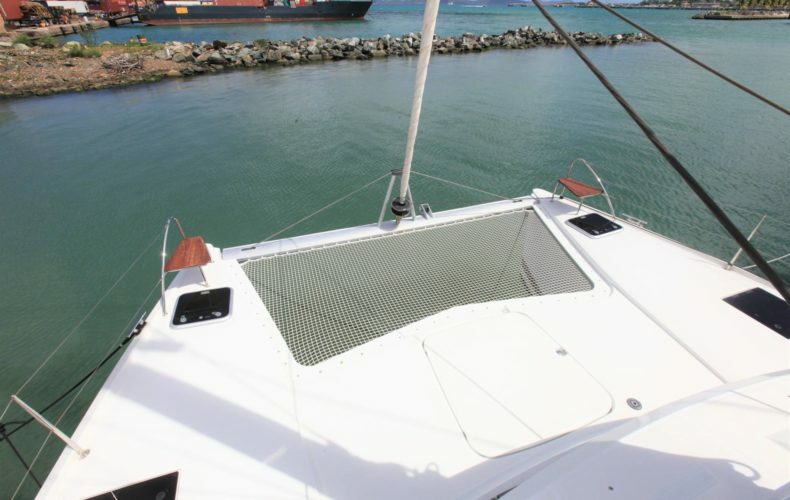 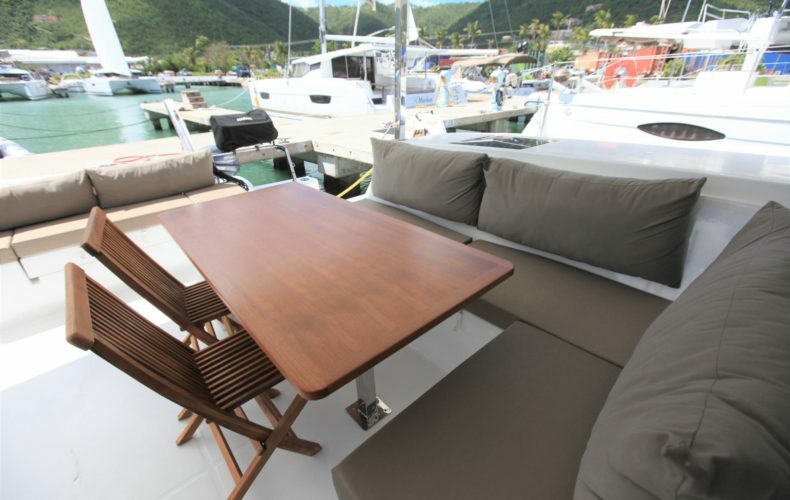 Shelly Kay is a brand new 2018 Fountaine Pajot Lucia 40. 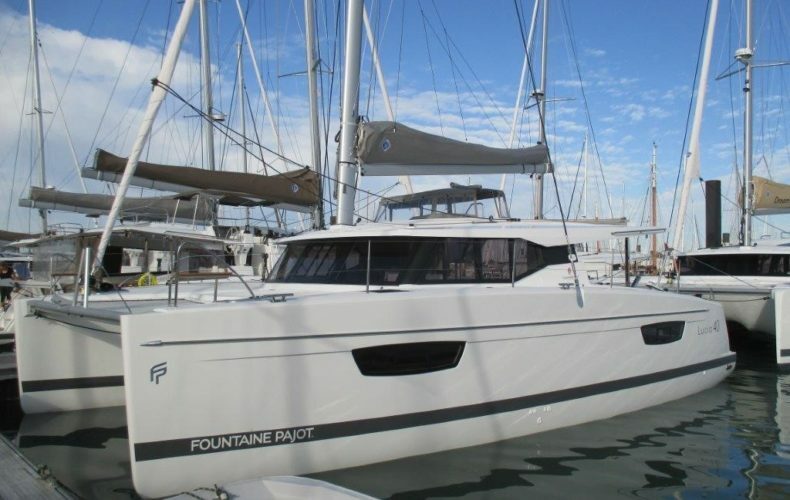 The NEW Lucia 40 of Fountaine Pajot , at first sight you will definitely be captivated by her graceful lines. 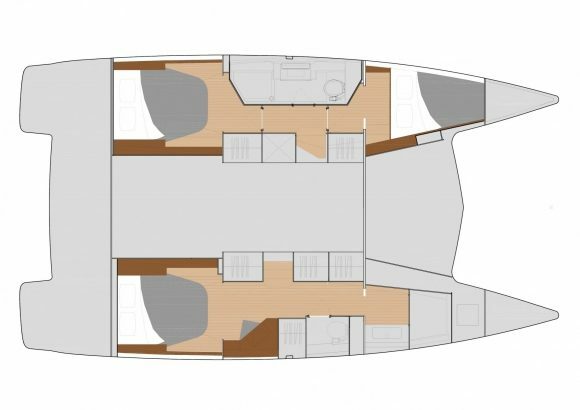 She is not only amazingly good looking and well designed, she will just blow you away with her lightweight and high performances at sea. 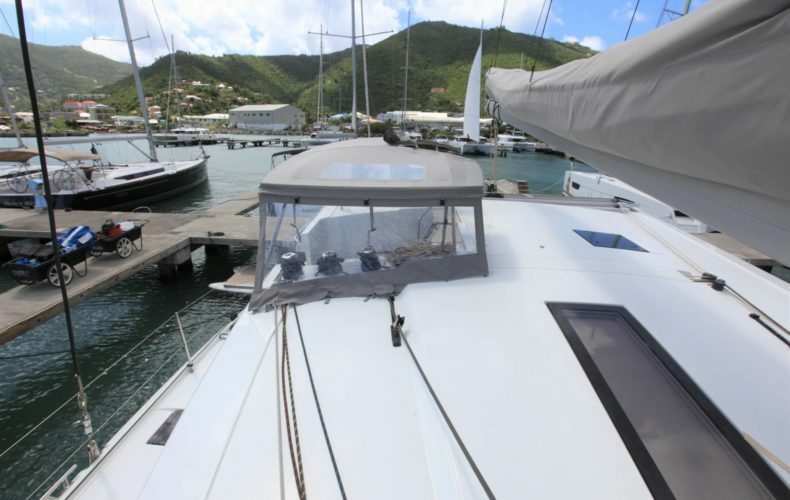 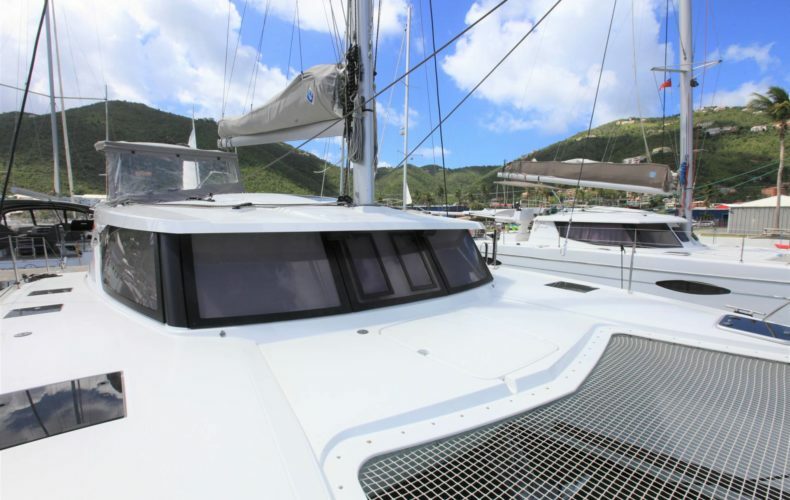 40% less heavy than any similar catamaran, she will surely get you twice as fast to your Caribbean destination with the greatest ease and carefree cruising. 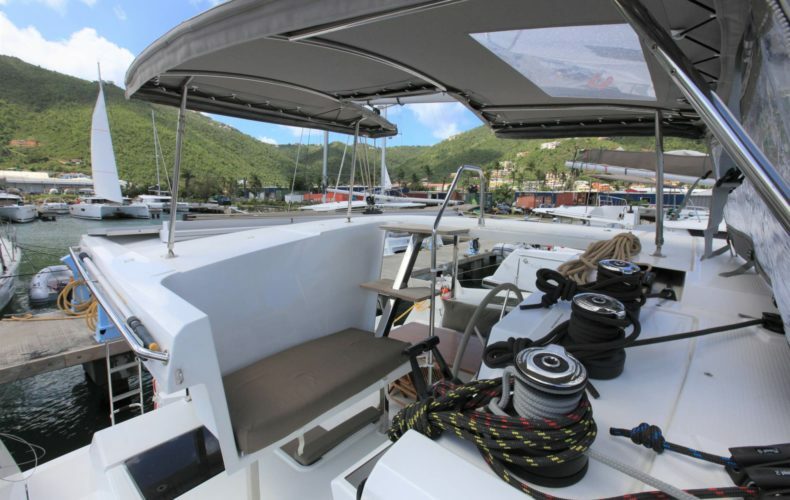 You love the Lucia 40… She is a true revolution in her class. 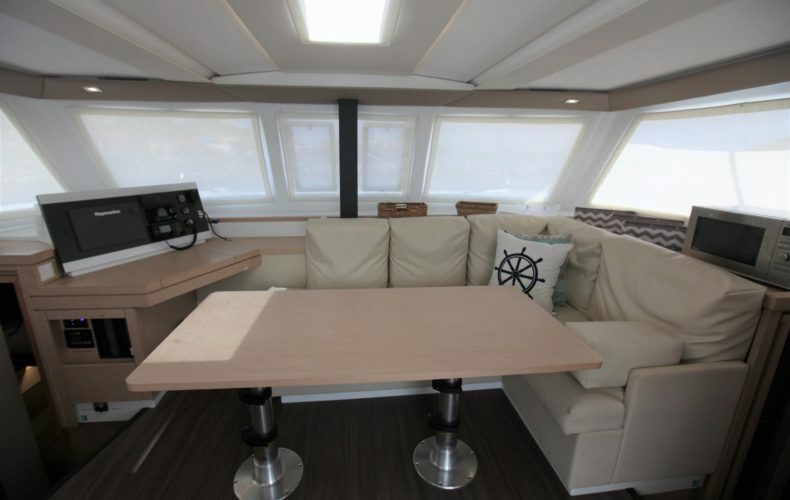 “Shelly Kay” has 3 double cabins and 2 extra large private bathrooms with Electric Fresh Water Flush heads, a fabulous open living space and a luminous saloon with convertible saloon table, giving the opportunity for a party of 8 people to share a memorable life experience. 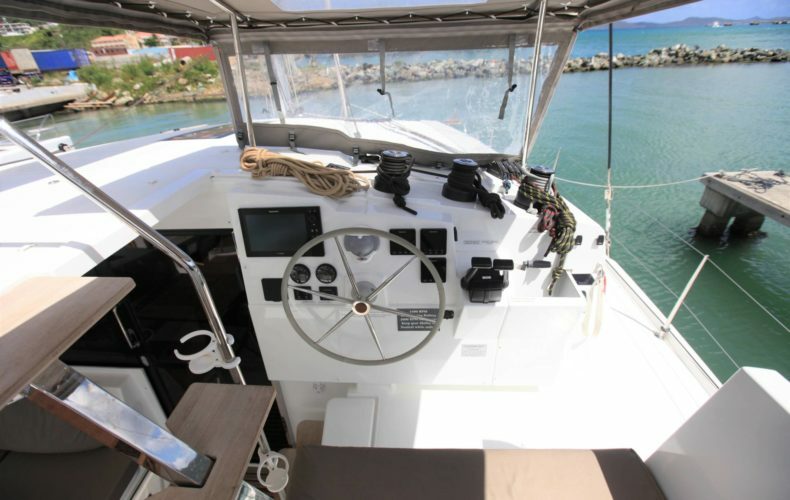 Shelly Kay has a generator and air-conditioning to keep you cool at night. 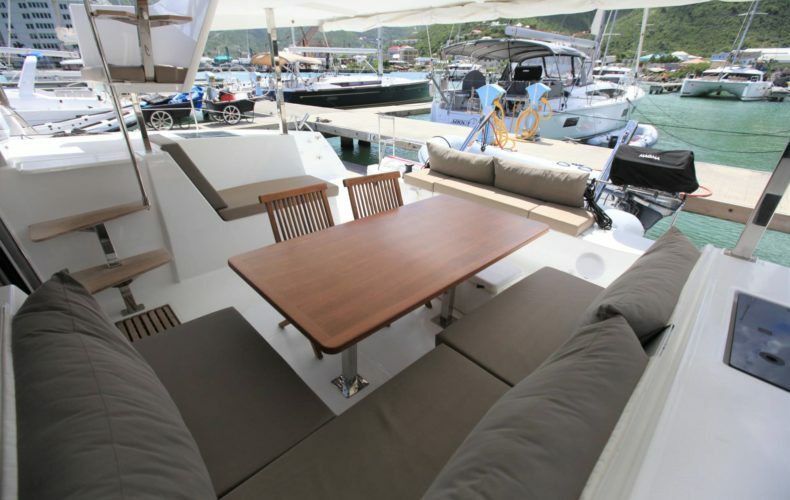 Her big WOW factor is the lounge area on the bow, irresistible space to enjoy nice refreshing fruit cocktails while waving the most colorful sunsets away from your magic world, you are about to join… if you book now!